Will public schools really lose federal education funding if they refuse to comply with a new Obama administration directive regarding transgender students? That’s the basic query posed by top lawyers from Texas, Oklahoma and West Virginia in a letter sent Tuesday to the U.S. Justice and Education departments seeking clarification on the directive, which advises the nation’s public schools to allow transgender students to use the bathrooms that match their gender identity. The guidance, issued Friday by those agencies, came days after Lt. Gov. Dan Patrick called for the resignation of the Fort Worth ISD superintendent for implementing similar rules designed to help educators abide by an updated nondiscrimination policy. 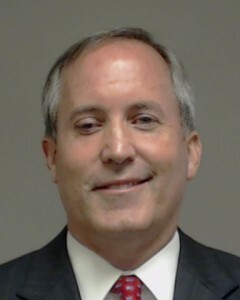 Attorney General Ken Paxton has already threatened legal action over the directive, which does not have the force of law but seeks to clarify how federal agencies may interpret relevant statutes and an entity’s compliance. Texas receives more than $5 billion per year in federal education funding, which it uses for free-and-reduced lunch and other programs designed to help needy children. Last week, Patrick said he was willing to forgo that money and urged Texas superintendents to resist pressure from the federal government to follow the directive. See here, here, and here for the background. I can’t imagine Paxton will get the answer he wants to hear, so I assume this is just laying groundwork for the threatened litigation. The Chron and Daily Kos have more. Posted in: Legal matters, School days. The federal money for education is not actually for education, rather, for free meals? Oh, this is great. I’d love to be the one to explain to those kids why they aren’t getting fed because the guy their parents voted for (assuming the parents are legal, BTW) withheld those meals until boys were allowed to shower with the girls. Remember all those black pastors that opposed the HERO? This would be the HERO fight on steroids. I personally cannot wait for the showdown. And the best part is, those irresponsible parents might actually have to feed their own kids for a while. This whole thing is chock full of win! Bill, this game of fill in the blank is fun. “Oh, this is great. I’d love to be the one to explain to those kids why they aren’t getting” ___an education___ “because the guy their parents voted for” ____is a Republican who has eradicated state funding for education ___ . My precinct, which is 80-85% Republican, is full of folks complaining about state funding of education, yet refuse to connect the dots between state legislation and the Republicans they vote into office year in and year out. It looks to me that Paxton et al. want the DoE to confirm the states will lose their educational funding, so that they can file suit against the feds in a friendly forum.